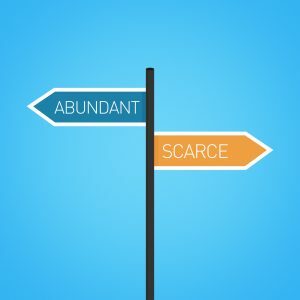 Do You Believe in Scarcity or Abundance? I see the world as having plenty: plenty of interesting work, plenty of people, plenty of chocolate, plenty of everything. That’s the abundance mindset. Other people see the world more as a zero-sum game, where there is not enough of anything to go around. They need to grab what they want when they see it. That’s the scarcity mindset. There are certainly areas of the world where there is not enough food, water, shelter, you name it. In that case, people are right to be concerned about enough for themselves. However, most of the people I reach with this site live and work in parts of the world where there is enough. With the abundance mindset, I can celebrate my friends’ and colleagues’ successes. I can consider multiple options for solving problems. I can choose again—regardless of the choice—because I know I can create more options for success. I don’t always have that abundance mindset. In public situations, I might raise my hand and the person on stage doesn’t answer me. Or, some other consultant gets the client work. Or, I look on the grocery store shelf and the one thing I want is gone. I admit I have a scarcity mindset then. I can ask the speaker later, by email. Or, at the party later in person. Or, ask someone else. There are many other possible clients. I don’t have to fixate on this one. The grocery store will probably be stocked again in a couple of days. Or, I can go somewhere else. Or, I can order online. When I have a scarcity mindset, it’s often because I haven’t thought enough about the problem. I don’t realize I have more options. That business of more options is key to how we might think about abundance and scarcity. You might notice I used the Rule of Three several times in the three options above. With an abundance mentality, you can create a good situation out of what you might perceive as a difficult problem. I don’t need to be perfect. I might need to remember I have options. I might need to give myself a chance to rewire my thinking so I can create or see more options. Make sure I want to change something about the situation. If I want to hang onto those beliefs—regardless of whether they work—I will. See how many possibilities I can generate regardless of how “good” those possibilities are. Test those options against the current reality to see how well any of them might work. Notice that I’m thinking. I might think out loud or to myself. But, I’m no longer stuck in reaction. I’ve taken that first small step. You don’t have to be perfect either. You might think about scarcity and abundance as I do. Sometimes, one. Sometimes, the other. 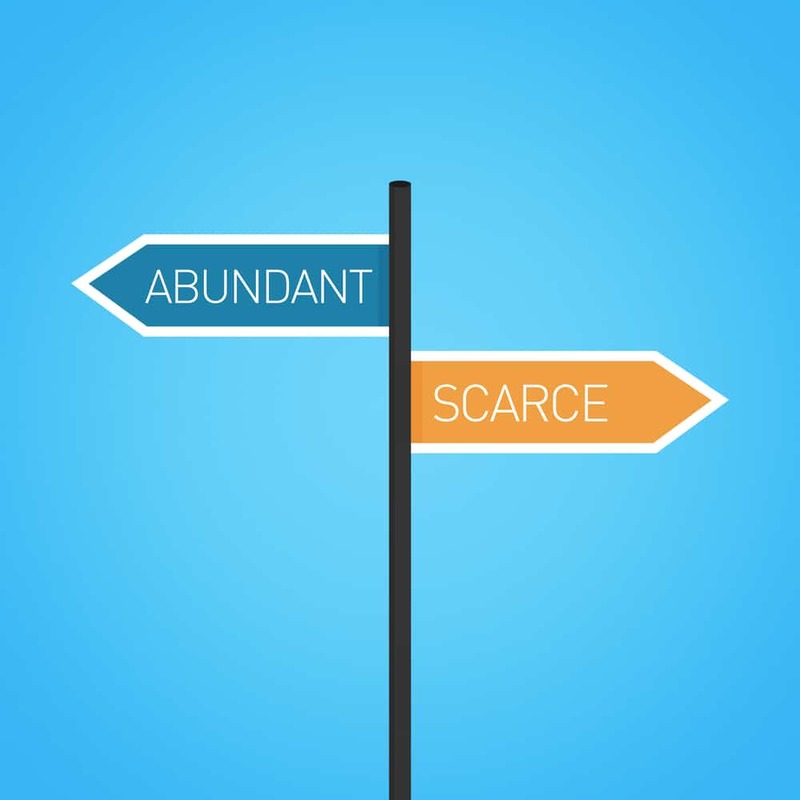 That is the question this week: Do you believe in scarcity or abundance? ← Do You Have Permission?